Since the mid 1980's, A Knight Rider Limousine Service has serviced the Chippewa Valley and surrounding areas in West Central Wisconsin, including Eau Claire, Chippewa Falls and Menomonie and locally owned and operated in Cadott Wisconsin. We have earned a reputation with our customers for delivering competitive pricing, professional, courteous service and knowledge of the business. 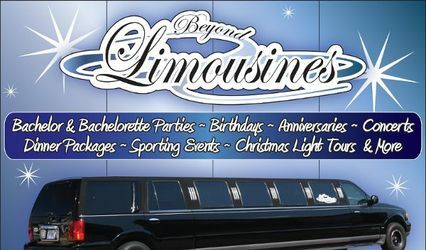 We have a limousine or LimBUSine for every size party, from 10 to 26!! 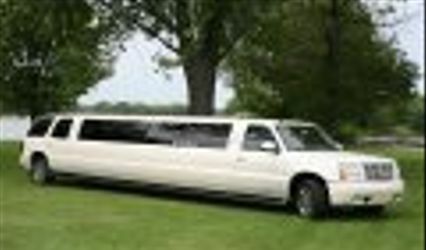 We are members of the Cadott Chamber of Commerce and the Wisconsin Limousine Association. We had a wonderful experience with Knight Rider for our wedding a few weeks ago. Bruce arrived on time, and took us everywhere we needed to be. He stayed with the vehicle so we could leave our personal items with him during pictures and the ceremony. Everything was clean and professional, and our bridal party had a great time in the Knight Rider! Thank you Lauren and Trevor for all the great reviews!! Best wishes on your marriage!! They were very easy to get a hold of and make plans very early on in my planning process! Were flexible with times we needed to have rides. I has been my pleasure working with you Betsy!! We look forward to transporting your guests to and from your wedding venue next year!! I highly recommend this company based on their stellar customer service! We have only booked with them for our upcoming wedding and have yet to actually use them. We have been working with Karen and she has been prompt, beyond fair and just a pleasure to do business with! In the Wedding industry where everyone is quick to hike up their prices and overcharge this company has extremely fair and competitive pricing. I will use them for all my future needs! Thank you Cassandra!! I try to make reserving a limousine/LimBUSine as easy as possible. With all the years doing this, I know random issues pop up and IF I am able to juggle the schedule to accommodate changes, I do!! We look forward to working with you and getting your guests from their hotels to your wedding venue!! Best WISHES!! Reserve a Bachelor or Bachelorette Party with us for at least 4 hours and receive 25% off Wedding Day!! Reserve both Bachelor and Bachelorette Parties with us for at least 4 hours and receive 50% off Wedding Day! !